A statement in blue. 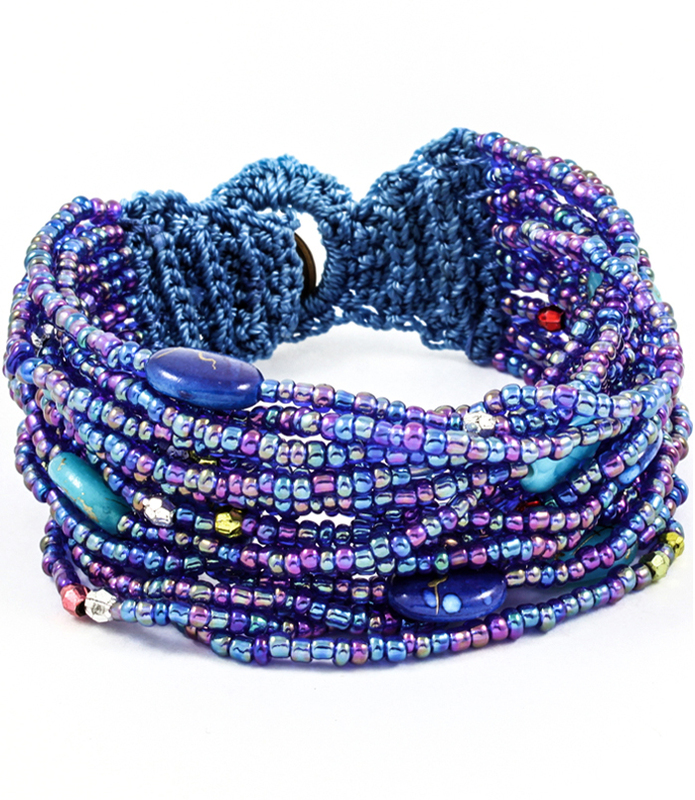 Thieving design from traditional African jewellery, the Jane bracelet is a multi-strand symphony of varying blue-hued beading. An eye-catching statement. If it's cheap jewellery online you are looking for you've found it!